Volitional social interaction prevents drug addiction in rat models. Hot Off the Press – November 19, 2018. A new study published in Nature Neuroscience finds that social interactions can have a profound effect on behaviors related to addiction, and on the brain’s response to drug-associated cues. These findings have implications for people with substance use disorders (SUDs), because it suggests that social interaction can change the activity of specific neuronal circuits that control drug craving and relapse. The research was funded by the National Institutes of Health and led by Dr. Marco Venniro from the Intramural Research Program of the National Institute on Drug Abuse (Dr. Yavin Shaham’s lab). 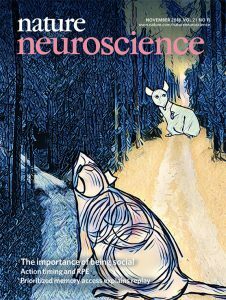 Home / News Main / Hot off the Press / Volitional social interaction prevents drug addiction in rat models.